Our mision is to collaboratively work to improve the health of our citizens living the counties of Buffalo, Trempealeau, Jackson, Monroe, La Crosse, Vernon and Crawford so that they may live long, healthy lives, free from tobacco and nicotine regardless of their income, education, or ethnic background. FACT is a youth-led movement that aims at taking action and creating change. We do this by exposing Big Tobacco's dirty secrets and deceptive practices. FACT also empowers Wisconsin teens to stand up to an industry that has been lying for decades. It is also important to understand that FACT's fight is with the tobacco industry, not smokers. We all have to make our own decisions; FACT just wants it to be an informed one. If you are interested in becoming a member of FACT or starting a FACT group at your school, please go to factmovement.org and sign up! 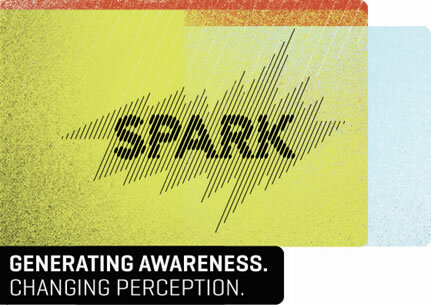 Spark, a Wisconsin-wide, state-supported program, is helping college campuses pass tobacco-free campus policies and educate campus communities that tobacco in all its forms is a threat. Agents 4 Change is a youth movement that is sweeping across Monroe County. 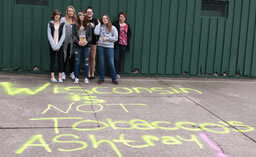 Students develop skills to teach younger children about tobacco use. Each year the advancing peer educator increases their presentation skills and adds a new drug to their education presentation. In 2015, our partner, Monroe County Safe Communities Coalition, wanted to more actively involve coalition youth members in helping to reduce youth substance in Monroe County. Together we applied and were awarded a United Way grant funding two Sparta school guidance counselors to organize and train fifteen 7th grade students on tobacco prevention, advocacy and presentation skills. The peer educators then shared their knowledge with 4th and 5th grade students. Students learned about the harmful effects of the use of all tobacco products including chew and the e-cigarette. Students also learned how the tobacco industry is marketing to them all the while they are strengthening their refusal skills. In addition, Agents 4 Change shared cessation information and tobacco free educational materials with their parents and other adults as well. In 2016 a new batch of 7th graders will be trained and the now experienced 8th graders will add to their knowledge base the subject of alcohol and present to 7th graders. In 2017 the goal is to train future 9th graders about Prescription drugs and educate 8th graders. The Agents 4 Change has been adapted for use by the Monroe County 4-H Junior Leaders reaching into the very rural communities of Norwalk-Ontario and Cashton. 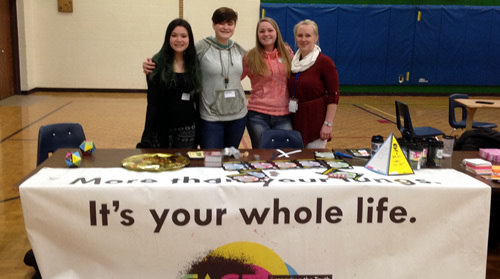 Agents 4 Change is a great example of community collaboration between the Monroe County Safe Communities Coalition, Sparta School District, Monroe County 4-H Program, The United Way and the 7 C’s Health Initiative. Click here to view the coalition's newsletters.